Rad-Reader: Can you give us some backstory on Bradley and Sara that we don’t get from the blurb? That maybe we can’t get because it was left on the editor’s floor and didn’t make it either in the book or the movie? But may still have molded the characters. Leigh: Ooooh, Bradley. Just one glimpse of Jesse Metcalfe was enough to hook me on this movie! As Bradley Sutton, his band members, friends, fans and even his fiancé consider him the ideal country western music star. He gives everyone the impression that he’s a man at the top of his game. A superstar. But underneath all that suave sophistication, the hectic pace of touring and performing, the pressure of pleasing all his fans, and the constant demands for more and better songs weigh on Bradley. He privately longs to return to the simple life he enjoyed as a child, before his parents’ tragic death. Sarah is the only person who can see beneath his public face to the wounded soul underneath. Rad-Reader: Was the ring from Sarah a way to bring Bradley back to a time and place that he had forgotten? Or just giving him his mama’s ring so he could give it to the woman he loved? Leigh: Don’t you just love Autumn Reeser as Sarah? Unlike Bradley’s fiancé Catherine, Sarah doesn’t have a manipulative bone in her body. A little naive about Bradley’s new life of wealth and privilege, she honestly believes he might want to give his mother’s ring to Catherine and wasn’t that just the sweetest scene? But sending that ring to Bradley sets all kinds of things Sarah couldn’t foresee in motion. Rad-Reader: Do you think Sarah thought Bradley would come back to town ever? Leigh: Sarah knew Bradley would return at some point. It’s one of the reasons she tended his mother’s rose garden and kept his parents’ house in good repair, at least on the outside. I think she imagined that one day, maybe once he was married and had children, he’d want to return to his roots, give his children the same carefree, country childhood he had. His decision to sell the family ranch surprised her. Rad-Reader: What made you come up with Sammy Harper the cab driver and the band playing in the bar? Leigh: I just love Sammy Harper. He’s such a great guy-next-door. I wish I’d invented him, but I didn’t. Credit for Sammy and his band has to go to the scriptwriter and the director. Rad-Reader: How was it that Sarah knew Catherine really didn’t want to have a simple wedding in a barn but Bradley couldn’t see it? Leigh: Sarah has been a fan of Catherine’s ever since America’s sweetheart appeared in her first movie. Sarah knows all about Catherine’s background, that she is descended from Hollywood royalty, that she’s grown up surrounded by the trappings of success—the private jets, the limos, custom-made gowns and always, always getting her way. She can’t imagine that someone with that background would opt for the simple life...or a simple wedding. And she was right, wasn’t she? Rad-Reader: Sarah had no choice but to fall in love with Bradley all over again while planning his wedding to Catherine, could her character have done something different? Leigh: Well, she could have, but then neither of them would have gotten the happy ever after they deserved. Rad-Reader: Sarah tried to give Bradley hints that he didn’t love Catherine because he didn’t know any of her favorite anythings, (flowers, cake, etc.….) Why could or wouldn’t he see it? Leigh: When young Bradley lost his parents and the girl he loved and was whisked away to live with his aunt and uncle, he vowed never to love anyone so much that he’d get hurt that badly again. That’s what made his relationship with Catherine so perfect—it was based on mutual respect and their desire to succeed in their respective careers and didn’t put his heart at risk. Not truly. But the more time Bradley spent with Sarah, the more he realized what he was missing by not having a “real” relationship with the woman he planned to marry. 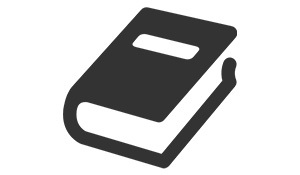 Rad-Reader: Did you find it a challenge to write a book that already had a storyline and characters? Leigh: You know, I thought it might. I thought I might find the limitations a bit too confining. But that wasn’t what happened at all. In many ways, following the plot laid out in the movie made my job easier. I didn’t have to figure out what the characters would do—I couldn’t change their dialogue or what they did on screen. 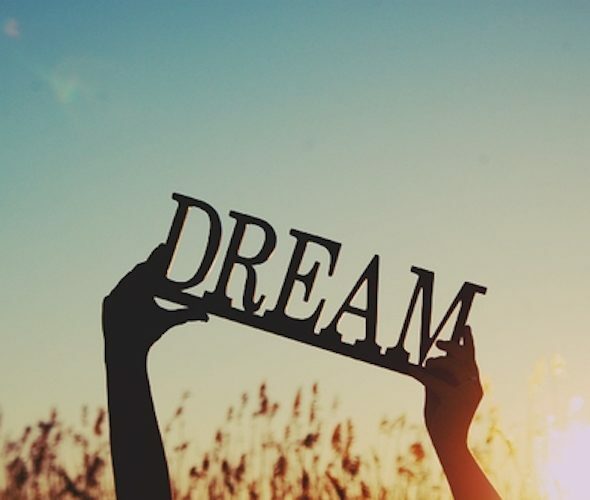 Those things had already been determined by the director, the actors, and the script. But I could help the readers understand why the characters did what they did, what their motivations were and what they were thinking. That was challenge enough. Rad-Reader: When do you think the moment was when Bradley fell in love with Sarah? Leigh: I think a better question might be, did Bradley ever really fall out of love with Sarah? Rad-Reader: Was any one character more of a challenge to write? I mean that you had to keep the same but would have liked to change his or her personality if you could? Leigh: Catherine was the toughest character to write in A Country Wedding. It would have been soooo easy to make her a total villain, manipulative for her own sake. But then, why would a strong, wonderful man like Bradley be attracted to her? My goal was to portray her as someone who honestly thought she was doing the “wrong things for the right reasons.” Which was much harder! Rad-Reader: How did the process go for you to be chosen to write for Hallmark book in the first place? Very cool! Leigh: So much of success in a publication is a matter of being at the right place at the right time. And in this case, I think that was true for me. I had heard through various sources—mostly on-line groups—that Hallmark was starting its own line and would soon be open to submissions. At the time, I was looking for a publisher for my book, Butterfly Kisses, a sweet romance set in rural Florida. On a whim, I sent that book to Stacey Donovan, who had just been named Hallmark’s Director of Publishing. She graciously read Butterfly Kisses, but ultimately decided the story wasn’t quite what Hallmark was looking for. However, she liked my writing so much that she asked if I’d be willing to write a book based on her favorite Christmas movie, Journey Back to Christmas. Which, as it turned out, was one of my favorite Hallmark movies, too. It sounded like such a fun project, I couldn’t say no. Rad-Reader: Do you still have to send your work into an editor or to Hallmark? Leigh: Oh, definitely. I wouldn’t dare publish without having my work looked at by a professional editor, and Hallmark has hired some of the best in the business to make sure that the books they produce rise to the same high standards as every Hallmark product. Rad-Reader: The description for example of Bradley and Catherine fishing and everything that transpires is a much better feel in the book, than the movie. Were you able to write that the way you thought they would actually react? Leigh: Well, yes and no. Since the book was based on a movie that already existed, I couldn’t deviate from what happened on the screen. But I could show the reader Bradley’s thoughts and explain why he did the things he did. I think that extra insight lets the reader see a better picture of Bradley and have even more reason than before to cheer him on towards the happy-ever-after he deserves. Rad-Reader: I noticed you wrote books for Harlequin; Do you find either one of the publishers had the same criteria on stories or do you not pay attention to those type of things? Rad-Reader: Were you able to write the epilogue on your own or did Hallmark give you any guidelines? Leigh: Have you ever watched a movie and wanted to know what happened to the main characters as time moved on? Well, Hallmark fans do! And Hallmark received lots of letters from fans who wanted to know what happened to Bradley, Catherine, and Sarah after the movie credits rolled. When I wrote the book, A Country Wedding, my editors asked me to think about how I’d answer that question. The story had opened just after Bradley had won a Grammy, and it seemed like a natural progression to close that circle, so I proposed a scene at the Country Music Awards. Of course, I wanted readers to see how Bradley’s and Sarah’s love had deepened and grown, but I also wanted to show how Catherine had redeemed herself and discovered her own happiness, too. I just love the way it all turned out, and the response from readers has been awesome! Rad-Reader: How did you come up with Warren, Catherine’s new boyfriend? Leigh: Because he was a relative newcomer to success, Bradley needed someone to teach him how to make the best moves for his career. And no one was better at that than Catherine. She’d grown up in the spotlight. She knew the in’s and out’s of giving her fans exactly what they wanted. She saw Bradley’s huge potential and did her very best to help him. But that made their relationship a little one-sided, and it helped make Catherine feel that she had the right to manipulate Bradley “for his own good.” For her to find her own, true happiness, she needed a hero who was even stronger and more secure in himself than she was. Self-made billionaire Warren fulfilled that need. I think the two of them are perfect for each other, don’t you? Rad-Reader: Was there any part of this story that you might have wanted to change or add something to? Leigh: Honestly, I wouldn’t change a thing. It’s such a wonderful movie! Everyone involved in this project, from Nancey Silvers, who wrote the script, to the director and the actors—they all did such an amazing job that I can’t imagine changing a thing about it. Rad-Reader: Was this the first book you wrote for Hallmark? Find this so interesting. 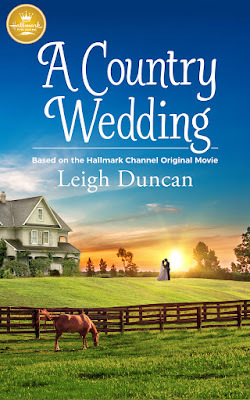 Leigh: A Country Wedding was actually my second book-based-on-a-Hallmark-movie. The first was Journey Back to Christmas, a story about a nurse who lost her husband—and her sense of purpose—during World War II. With a little help from a comet and the magic of time travel, Nurse Hannah discovers her true purpose in life in this sweet, touching Hallmark classic. Rad-Reader: Do you have a favorite character out of the book that you liked? Leigh: Oh, that’s a tough one. I loved Sarah’s character. She was such a strong person. She had to be. Here she was, on the cusp of losing her family’s ranch, yet she never asked Bradley for a loan or took advantage of their friendship. But despite her strengths, she was soft and sentimental at heart—she remembered every detail of their childhood clubhouse, she gave up a lucrative career as a veterinarian to care for aging horses, and she never fell out of love with the boy who got away. And Bradley, oh, what’s not to love about Bradley? A musician who has lost touch with his ability to write new songs, who has unresolved issues dating back to the loss of his parents when he was so young, and yet who somehow has risen above his problems to achieve huge success. Be still my heart! Even Catherine is a wonderful character, despite her faults. Rad-Reader: Did you consult with the screenwriters as to how they wanted to see the characters in the book or if you could deviate more? 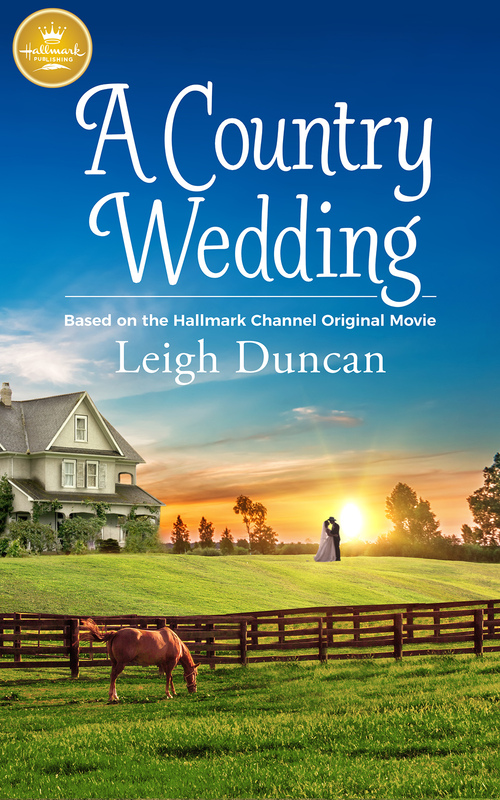 Leigh: Hallmark fans love the movie A Country Wedding! I couldn’t disappoint them by writing a book that veered away from the scenes and storyline they loved so much. Plus, my directions were very clear: stick as closely to what happens on screen as possible. Hallmark made my job easier by providing me with a copy of the movie—called a screener—as well as a copy of the script. I watched that screener so many times, I can still recite long passages of dialogue by heart! Rad-Reader: What was your deciding factor for saying yes to writing for Hallmark the characters or the name Hallmark and their quality of work? Leigh: First, I have to say that working with Hallmark has been a dream-come-true for me. Everyone involved in the publishing side of the house has been overwhelmingly helpful and gracious. I couldn’t ask for a better publishing home. But when Stacey Donovan, the Director of Hallmark Publishing, approached me about writing a book based on the movie Journey Back to Christmas, I found the idea sooo intriguing and so different from anything I’d ever done before that I really was interested from our very first conversation. Plus, writing the book gave me the opportunity to work with one of my all-time-favorite Hallmark movies. I couldn’t turn that down! Rad-Reader: Do you have a favorite place where you like to write? Leigh: To answer that, I have to tell you a little bit about Writers Camp. About ten years ago, one of my friends got so tired of battling the distractions of trying to work at home with two teenagers underfoot that she threatened to give up writing altogether. She was such a good author that we couldn’t let that happen! So, another friend of ours told her to pack up her laptop, and they started meeting at the library each day, where they’d write from the time the doors opened until they closed at 5PM. Another friend and I joined the group a short time later. Space was tight in that tiny library workroom, and to keep things moving smoothly, we established rules. No talking! No internet! Everyone must write 1000 words before lunch! It worked. Books were written. And the four of us have continued to get together for Writers Camp at least twice a week ever since, although now we gather around each other’s dining room tables instead. Rad-Reader: Do you do anything special after your first book was published, for yourself? Leigh: You mean, besides cry the first time I saw one of my books on the shelf of my local bookstore? Actually, I started a charm bracelet. For every book, I add one or two charms that are somehow related to the story. For A Country Wedding, I found a sweet little horse charm and one in the shape of a guitar. Leigh: Hmmmm. That’s an interesting question. I do love country western, which was one of the reasons I was so interested in writing the book based on A Country Wedding. The music in that movie is sooooo good! I was hooked from the opening credits when Sarah rides across the field while we hear Bradley’s song playing in the background. I also like bluegrass and gospel music. Leigh: Anything chocolate, of course. LOL! Rad-Reader: What are three things you can’t leave home without each day? Leigh: A prayer for a safe trip, my purse, and my phone. Rad-Reader: What are three things you would tell a new up and coming writer? Leigh: My advice for anyone who dreams of achieving success in publishing is to first, be sure you have a passion for what you’re doing. 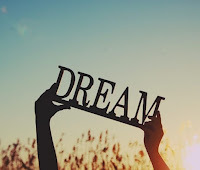 Making a living as a writer takes hard work and dedication. You need to truly love it if you’re going to succeed at it. Next, learn the craft. Read today’s most popular authors. Take workshops and classes. 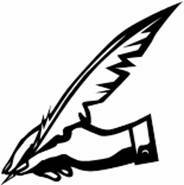 Join a writer’s organization. And finally, write every day. Do not wait for inspiration to strike. Just, show up and write. 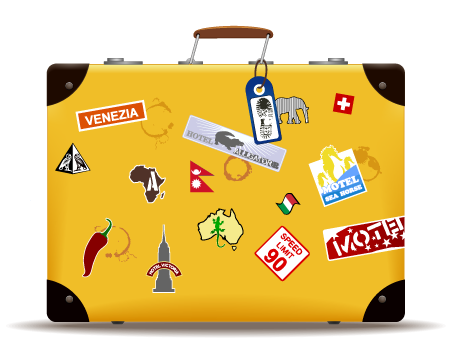 Rad-Reader: If money was no object where would you like to travel to? Leigh: Ooops. I’m not much of a traveler. I’m happiest when I’m home and surrounded by family and friends. Leigh: Oh, I’m so glad you asked! I’m soooo excited about my current project because I’m working on a terrific new series for Hallmark. These books are set in the fictional town of Heart’s Landing, and the stories all revolve around people who fall in love in this quaint, little seaside town that just happens to be America’s top wedding destination. The first book in this series, A Simple Wedding is currently available for pre-order. Leigh: All of my books are available through my website and from Amazon. A number of my books are also available through iBooks, Kobo and Barnes & Noble. Leigh: I love to hear from my readers and fans and try to give them lots of ways to reach me. 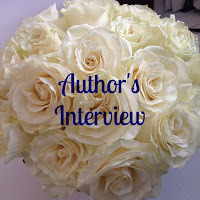 where you can sign up for my monthly newsletter, filled with all sorts of giveaways and fun news. Of course, I love to catch up with friends on Facebook and Instagram, as well as Twitter. We are so lucky to have been able to have you come on and be with us. We not only got to rack your brain on these two characters but on the process of how you were able to work with Hallmark. Congrats on that. You did a wonderful job. Your extra insight into the characters from what we saw on the screen was so much more of a plus for me as a reader. Also, thanks for giving pointers to those who may be brave enough to want to do the whole Hallmark steps as you have done. Your insight has been enlightening. Come back again when your next project drops so we can add it to our Shout Out: An Author's Place page.